The Oriental Trading Company is a direct merchant of value-priced party supplies, arts and crafts, toys and novelties and school supplies. It was founded in 1932 as one of the United States' first wholesale companies. 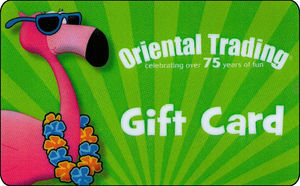 Sell Oriental Trading Company gift cards on Cardpool.